Please contact us, so we can send you a link to our on-line video samples. Professionally edited high definition video. Full length professionally edited 1-2 hours video with music overlays. Add a 10-20 minute professionally edited highlight video with music overlays as an option noted below. Coverage time begins at any location and at any time needed. Multiple video capturing angles throughout your video. Receive a digital download of your beautiful wedding or event video you can share with your friends and family. Guest interviews per your request. Also, available on DVD with customized menu and case. Your package comes with the ability to view video online. We will email you link to download all you video with full rights and ownership. Includes up to 5 hours coverage time beginning at any location within MD, PA, VA or DC area. You can add additional coverage time to your package for only $150 per additional hour. We are dedicated in providing quality videography coverage for your wedding, event, anniversary, or Bar and Bat Mitzvah at an affordable price. A Treasured Wedding Videography is committed to unobtrusively capturing all of the details of your special day. We use a combination of artistic and classic videography with a photojournalist approach. Each additional hour coverage time you add to the package is only $150 per hour. With regards to A Treasured Wedding Photography, Videography, Up-Lighting, and Photobooth -Baltimore, Maryland & Washington DC videography package, the ceremony and reception would only cost $850. 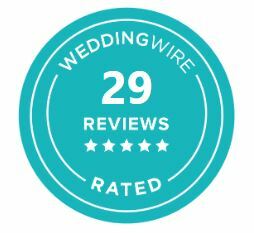 Eric Hartlieb and his team assure couples that “A Treasured Wedding” provides the following: digital chip video picture quality, high fidelity stereo sound quality, computer editing and dubbing, wireless microphone hook-up and soft reflective portrait lighting system. Also, the company provides pre-ceremony establishing shots, shots of guests arriving, ceremony shots, pre-reception establishing shots and shots of all the events throughout the entire reception. In addition, A Treasured Wedding Photography, Videography, Up-Lighting, and Photobooth -Baltimore, Maryland & Washington DC also offers guest interviews per request. Eric Hartlieb, the owner of “A Treasured Wedding Photography, Videography, Up-Lighting, and Photobooth -Baltimore, Maryland & Washington DC,” believes in capturing the moment of a couple’s special day by utilizing the use of the company’s videography. Aside from the other basic videography services which can be found in the website of “A Treasured Wedding,” Eric Hartlieb points out that other additional options would include DVD Copies which would only cost $65.00. 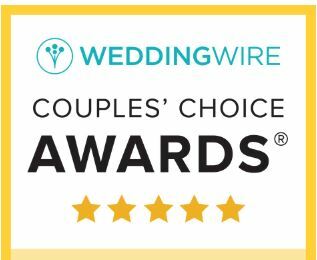 Every couple who is about to get married has a different style, taste and take on it – and this is something that “A Treasured Wedding Photography & Videography-Baltimore, Maryland & Washington DC” identifies with and understands. This is the main reason why the company and its owner, Eric Hartlieb works with the Bride and Groom. This ensures them that all the details prior to the couple’s wedding day are all set and ready to go. This is crucial because everything that is currently occurring at that very moment needs to be captured and the snippets of that special day serve as the essence and core of the couple’s wedding celebration. Eric Hartlieb who has been shooting for more than 20 years has one of the best professional wedding photography and videography packages. As such, their prices are seen as extremely competitive and affordable for the budget conscious Bride & Groom. Moreover, the company offers wedding accessories & invitations. In addition, “A Treasured Wedding” is known to have an affordable wedding photographer who assures customers of highly satisfied clients. This is because Eric Hartlieb and his team have made it a point to capture photos and videos that reflect the style of both the Bride and Groom. Whether they are seen as a fun-loving couple or whether they opt for a more relaxed and informal wedding, the photos and videos that the company produces will undoubtedly be timeless.